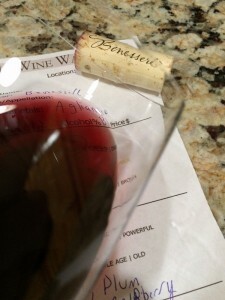 One of our recent Benessere Vineyards wine club shipments included a bottle of 2012 Aglianico. Not knowing this varietal I had to research it. Aglianico (pronounced [aʎˈʎaːniko], roughly “ahl-YAH-nee-koe”) is a black grape grown in the southern regions of Italy, mostly Basilicata and Campania. The vine originated in Greece and was brought to the south of Italy by Greek settlers. The name may be a corruption of vitis hellenica, Latin for “Greek vine”. Another etymology posits a corruption of Apulianicum, the Latin name for the whole of southern Italy in the time of ancient Rome. During this period, it was the principal grape of the famous Falernian wine, the Roman equivalent of a first-growth wine today. 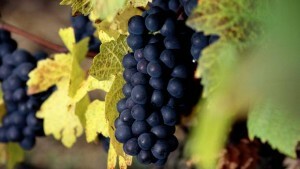 Oenologist Denis Dubourdieu has said “Aglianico is probably the grape with the longest consumer history of all (1). What does the word Benessere mean? Benessere is the Italian word for well-being. There is a lot of debate these days regarding the health benefits of wine. One of the compounds in red wine is called Resveratrol. Resveratrol is the first compound that was shown to have an effect on platelet aggregation and be an antioxidant found in red wines. So what is Platelet aggregation? It Is the clumping together of platelets in the blood. Platelet aggregation is part of the sequence of events leading to the formation of a thrombus (clot). Red wine means less clots they say. Wine benefits have received a lot of press recently. I think the verdict is still out if there are health benefits. I believe there are…. Moderate young-fruity with aromas of spice, plum, raspberry. Dry, medium-bodied and slightly tart. Weak and soft tannins structure. Crisp flavors with a long lingering finish. The wine has a lot of structure and I see if cellaring for 15 plus years. That is if you want to wait that long to see how it develops. Source: 1 – Aglianico – Wikipedia.